Raw data for testing for effects of ambient conditions on seedling mortality of Ormosia glaberrima. 1. The enemies-induced Janzen-Connell (JC) effect, a classic model invoking conspecific negative density dependence (CNDD) and distance dependence, is a primary biodiversity maintenance hypothesis. Yet, conflicting evidence for the JC effect leads to disagreement about its role in maintaining forest diversity. 2. We focus this review on soil-borne pathogens, which are the primary agent inducing the JC effect in many forest ecosystems. 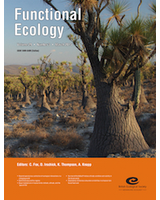 Although the test of the pathogen-induced JC effect in ecology critically rests on the seedling mortality caused by soil pathogens, what has not been explicitly explored in the early literature but has increasingly received attention is the long-recognized fact that the environment can alter virulence of pathogens and host susceptibility (and thus pathogen-host interactions), as predicted by the classic disease triangle framework enlightened by pathology research in agricultural systems. 3. Here, following the disease triangle framework we review evidence on how the pathogen-induced JC effect may be contingent on context (e.g., environmental conditions, pathogen inoculum load, and genetic divergence in host and pathogen populations). The reviewed evidence reveals and clarifies the conditions where pathogens may or may not cause disease to hosts, thus contributing to reconciling the inconsistent results about the pathogen-induced JC effect in the literature. The context-dependence of the disease triangle predicts that the pathogen-induced JC effect would change under global change. 4. Gaining insights from evidence that the pathogen-induced JC effect is context-dependent, we suggest that future tests on the JC hypothesis be conducted under the framework of disease triangle, and we stress the necessity by controlling the effect of context factors on plant-pathogen interactions when testing for the JC effect. We conclude the review by proposing three lines of future research for testing the importance of the JC effect in maintaining global forest tree species diversity, with a particular emphasis on testing the effect of global warming on the strength of pathogen-host interactions for better predicting changes of forest biodiversity under climate change.